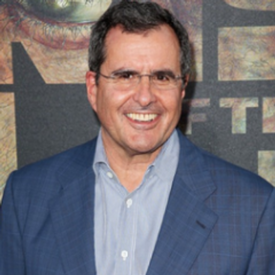 Peter Chernin, one of the most powerful media executives in the world, has had a career that has produced the two top grossing movies of all time, Titanic and Avatar, and shaped a wide range of media conglomerates including Showtime, Fox, and News Corporation. He began his career at St. Martin's Press, a book publishing company which he claims was "the last sort of career planning I ever did." When asked about his transition from publishing to film, Chernin mentioned, "the interesting thing is I had no plan. I worked as a book editor at a time when they were doing a lot of movies and miniseries based on books and out of the blue one day, one of the biggest television producers in the industry came to New York and offered me a job." The opportunity to do something different appealed to Chernin so he picked up his bags and moved to California, where he worked for four years in a very old fashioned apprenticeship for a big TV producer. He then made the decision to accept a job at Showtime. "Everybody told me I was crazy. Showtime was brand new but this ended up being a key moment because the next 25 years in the media business were dominated by cable." When asked to advise MBA students on winning career strategies, Chernin credits much of his success to a few key traits as well as his desire to try something new on a regular basis. "I never had the kind of ambition where I said, Gee, I'm dying to run a movie studio someday. What I had was a couple of key traits. One, I'm a little obnoxious but at some point I would usually look at my boss every couple of years and go, Well, hell, I could do that. That ultimately gave me the confidence to keep pushing myself higher. Two, I am terrified of being embarrassed. So it's always led me to sort of really push myself hard because I don't want to look like an idiot. Three, I have always had, for lack of a better term, this sort of sense of perfectionism, and I've always had extremely high standards, particularly about myself which leads to the fear of embarrassment thing. That's led me sort of up the chain because I kept pushing myself. Careers are very much about serendipity: there's no one right path. I think that the right path is to try and get a maximum amount of experience in a number of different areas, and try and align yourself with really smart people. Roadblocks and frustrations will come your way and in some ways, the least regimented people with the boldest imaginations and tolerance for risk are the ones who excel in my world." This proved extremely true when Chernin famously gave the green light for Titanic. At the time, it was the most expensive movie ever made and went 100% over budget. To make matters worse, the production team ran into every problem imaginable while the press was writing up a storm on how Chernin was the dumbest executive in the history of Hollywood. "Everybody assumed I was going to get fired, and I assumed I was going to get fired. It was a terrifying experience." Yet, throughout the production process, Chernin continued to trust his gut. "Every interaction I had with the movie felt great. The script was amazing, the dailies were mind boggling. I don't know anything in life, but I do know my own emotional reactions and they're worth listening to sometimes. I found this story incredibly exciting, moving, emotional, and worth listening to. I ultimately made what started off as the biggest bet of all times, lived through terror of watching it get twice as bad, but ended up with the most successful movie ever made." 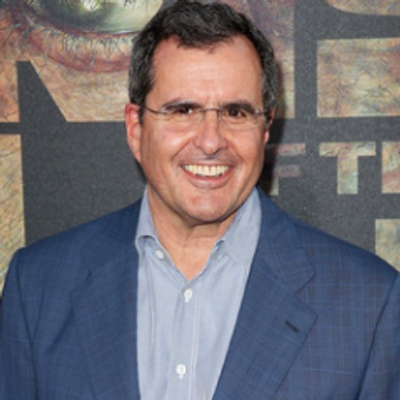 But what exactly are the ingredients for a successful blockbuster and what's top of Peter Chernin's mind before he gives the greenlight to these massive blockbuster investments? "I think if you generally look at the most successful things ever, perfect example right now is Hamilton on Broadway, it's just so remarkably bold and different. I always think about that. Another good example is Deadpool, which opened recently. There are all these superhero movies but no one has done a really raunchy R-rated superhero movie. There was something that felt fresh and different about that, setting it apart from all these other Marvel movies. I think a lot of what you're constantly looking for is what feels different? What feels bold? What feels innovative?" Innovation is more important than ever in the context of today's fast changing entertainment landscape. With the increase in digital distribution platforms, Chernin had the following perspectives on content distribution. Focus on mobile: "I think if you look at right now, probably 60% of all content is distributed through mobile and that number's going to be 85% within the next five years. I would be thinking entirely about that." Master the nexus between social and content consumption: "[At] this point the two largest content distributors on Earth are Facebook and YouTube, and those are so socially driven. Social ends up being an incredibly key component to how people discover new stuff." Everything should be portable: "I think that you're just seeing less and less people sitting in front of a television set in a living room anymore. They tend to sit and watch their laptop, etc. You'll see the same thing happen on everything." Think about the global marketplace: "Most of the US media business is already 65% global, and that number will ultimately move to 85%. The US has, whatever the right number is, 5% of the world's population. I certainly wouldn't limit my thinking to the US marketplace." As it relates to the creation of content, Chernin stressed a new phenomenon - the democratization of content. Growth in the media business was, in the past, driven by what was essentially a semi-monopoly position. Big media companies had two things: access to capital, and a world-wide distribution system. That's no longer true, now that it is much cheaper to produce high-quality content that has world-wide access to distribution. Newspapers are going away with advertising revenues down by 80% in the last 12 years. There's not a lot of meaning to a record company anymore because it's inexpensive to record an album and share it on SoundCloud's platform of 180 million users around the world. "Anybody can put anything up on YouTube and distribute it around the world. We own a little company called Full Screen that's doing five billion video views a month, all on YouTube, of independent creators." Yet with the flood of independent content through all these new digital distribution platforms, Chernin stressed that curation is now more important than ever. "There's just so much content available now. How do you get people to notice it? You look at key YouTube and Facebook influencers right now, they have a huge impact on who watches stuff. We have 75,000 influencers going through Full Screen right now. The top 2,000 of them are doing generally more than ten million views a week, which is more than most the big media companies are doing. I think that's a big issue." With increased options for content, Chernin asserts that the middle is dead. "I think we're going to see the content creation world go either to very niche things that are of huge appeal to a small number of individuals, or big mega blockbusters that everybody has to see. If you think about it, yourself as a consumer, you feel like you've got to go see Star Wars because everybody else is, but after that you're going to pick very specific things that are appealing to you, and you're not going to watch mid-level mediocre stuff." We also discussed what aspects of his professional experiences and pieces of advice have been non-specific to the media industry - namely, the role of a board member and what makes a satisfying career. Drawing from his experiences as a board member for a number of businesses including American Express, Pandora, and Twitter, Chernin concluded our conversation with a little advice to MBAs who aspire to sit on the Boards of major media companies someday. The biggest piece of advice he stressed was, "it is much less about being smart on a board as it is about being collegial. One's individual effectiveness on a board is almost entirely a function of how you play as part of a team, because boards, by definition, have to do things as a majority. If everybody else thinks you're a jerk, you have zero effectiveness." Chernin discussed that as a board member, you basically have two jobs. One is to hire and fire the CEO and the second is to support the CEO with advice and counsel to help share some of the burdens. "It's about recognizing how difficult the CEO's job is and trying to figure out ways to help support him or her. It's about trust and teamwork, and trying to understand the business so that you can offer insights. If you're on a board, you don't know the business as well as the CEO does, the CEO's doing it 24 hours a day, seven days a week. You're doing it for a few hours a month. What you do have is a different set of experiences and objectivity and it is your job to try and offer those things to your CEO to help them think about things in a different way. It's a very different mindset than a lot of people think about boards." Nonetheless, despite an impressive resume of accomplishments throughout his career, Chernin stressed that the biggest thing we can all do to achieve a satisfying career is to find opportunities to build things ground-up surrounded by the people you love. "Individual successes or failures come and go. They're nice, they're great at the time but, pretty quickly you're on to the next movie or project." All of Chernin's favorite memories are all about starting and building new companies. "If you're in the trenches with a bunch of people and you're doing something difficult together, you form these deep bonds, and it's incredibly exciting, because you can look back at the end and say, this didn't exist when we started. You really feel like you've had an enormous impact on the world, and an enormous impact on people's lives and it's unbelievably satisfying. Those have sort of always been my happiest memories." For more articles published by The Harbus, Harvard Business School's Student Newspaper, visit www.harbus.org. 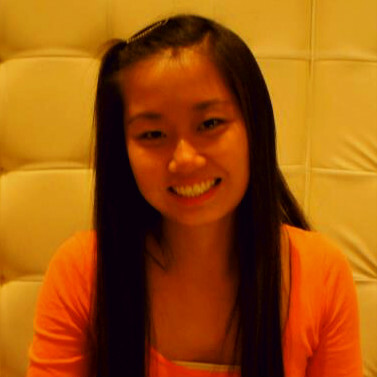 Ching-Ching Chen (HBS '17) is from Orlando, Florida. In her free time, she enjoys songwriting, attending the Symphony, and going to Disney way too many times to keep count. She has worked in Investment Banking and Corporate Strategy at Morgan Stanley and is involved in Sound Society, WCS, and the Entertainment & Media club.